JACKSONVILLE, Fla. (Nov. 9, 2017) – Two decades after his mother’s tragic death led to the creation of the Monique Burr Foundation for Children’s (MBF) Foundation in her name, Austin Burr is carrying on her legacy by joining the Board of Directors. Austin will attend his first board meeting Tuesday, Nov. 14 at MBF’s Jacksonville headquarters, 7807 Baymeadows Road E. Suite 202. 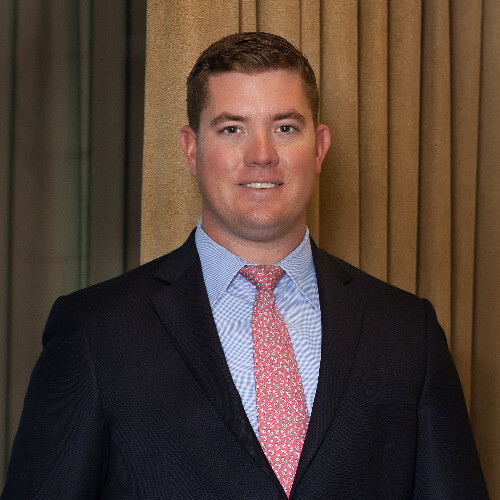 A Senior Audit Associate and Certified Public Accountant at KPMG in Jacksonville, Austin will join his father, MBF founder Edward E. Burr, on the board. Ed Burr established the Monique Burr Foundation in 1997, on the one-year anniversary of his wife’s death. By then, Austin was 6 and his brother Garrison was 3. Monique Burr had been revered as a compassionate children’s advocate and the founder of a nationally recognized nursing and day-care program for sick and disabled kids, the PALS Center. Austin and his younger brother Garrison grew up attending events for the Monique Burr Foundation for Children, which provides research-based, comprehensive child abuse and bullying prevention education programs for schools throughout Florida and across the nation. Austin earned a bachelor’s degree in accounting and finance and a master’s degree in corporate accounting from Florida State University, and Garrison is earning his master’s degree in accounting from Florida State University as well. Lnn Layton, Executive Director of the non-profit Monique Burr Foundation, says Austin’s service to the board represents a new chapter of the work that started when he was just a child. Supported by the Florida Legislature, The Foundation’s MBF Child Safety Matters™ and MBF Teen Safety Matters™ programs are delivered year-round to schools across Florida, and select communities across the country, and are designed to educate and empower students and adults with information and strategies to prevent bullying, cyberbullying, digital abuse and all types of child abuse and exploitation. Also serving on the MBF Board of Directors: Dennis Rosa, The Lighthouse Group at Morgan Stanley – Vice President; John C. Fletcher, Jr., Carr, Riggs and Ingram, CPAs and Advisors – Treasurer; Daniel Davis, JAX Chamber; Maxine McBride, Clockwork Marketing Services, Inc.; Donna Orender, Orender Unlimited; Dianne E. Parker, Retired – Naval Air Station Jax, Fleet & Family Readiness; Bert C. Simon, Gartner, Brock & Simon; and Susie Wiles, Ballard Partners.